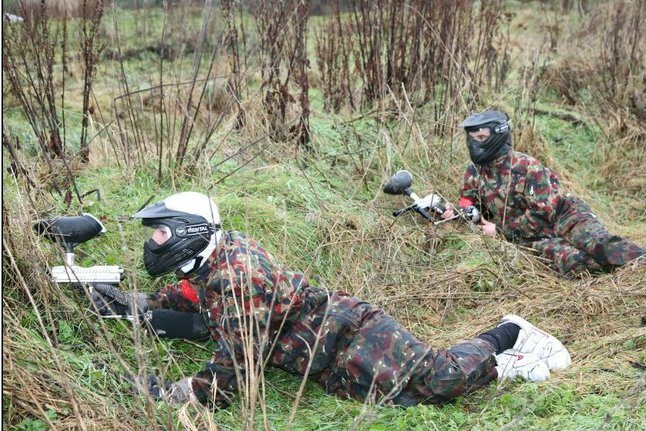 Special Ops Paintball Carlow have taken great pride in their paintball game zones to create intense and realistic combat scenarios. Our centre offers a range of terrain from up hill battlefields, to urban compounds, and even water obstacles. You will fight your way from the dense forest undergrowth into the open to face your enemy in every paintball scenario possible. No two paintball games are the same and not every tactic will work second time round. It’s time to think fast, move even faster and get ready for Special Ops. Paintball is amongst the fastest growing sports in the world. Each player is given a protective suit, special paintball googles and a paintball gun. The paintball gun uses high pressure air to shoot a small paintball-filled pellet. Special Ops(Wicklow/Dublin) – only 20 minutes from the M50 South of Dublin.